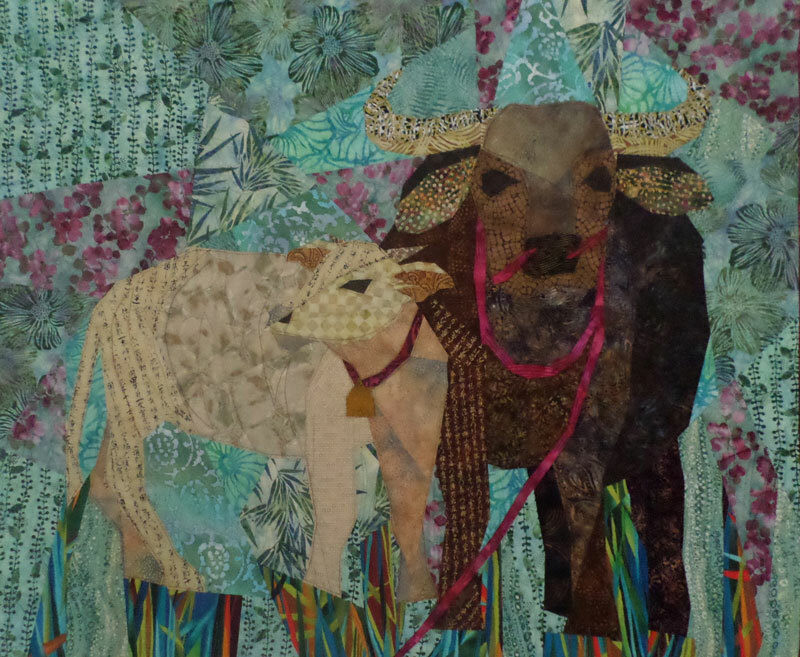 Somehow I just can’t resist making water buffalo quilts. Maybe it’s their eyes, or their peacefulness. Last July while on vacation near Mae Salong, we happened upon this mother and her calf grazing along the path.